Social Media Matters. We Can Help. 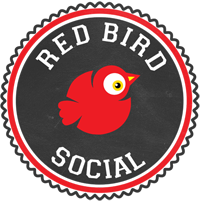 "Red Bird Social is a Godsend when it comes to building a presence in this fast paced Social Media world! Not only did Red Bird take care of all the details, they helped me understand Social Media strategy better. Working with Red Bird for the launch of my first book, helped catapult it #1 Bestseller in 3 different Amazon Categories. I highly recommend leaving your Social Media needs in their capable hands!" Do you ever feel confused and overwhelmed as you struggle to piece together your digital marketing efforts? Have you spent large amounts of time and energy on social media with no actual positive results for your business? Social media marketing is extremely important for any brand that wants to see growth. However, it’s not always as easy as it seems. If you’re ready to finally release your passion, grow your business, and truly connect to your audience online, we can help. Results-Driven Social Media Is Here! At Red Bird Social, we know that what you do is important. You touch lives and change them for the better, and we want to help YOU succeed. You don’t have to go it alone any longer! Our team and expertise is only a click away. life easier and more effective?